Popular Tesla YouTube channel Like Tesla recently posted a video in which it details the seamless integration of Tesla’s Powerwall and solar panels through the Tesla app. Kim of Like Tesla interviewed Michael Beinenson, the former president of the EV club of the South and writer for InsideEVs, who detailed his experience with charging three electric vehicles and managing their home’s energy needs through a solar system and Tesla’s Powerwall 2. In addition to charging his Model S through energy stored within the Tesla home battery, Beinenson notes that he’s also able to power his home, and sell solar-generated energy back to the utility company. Beinenson then said that in his case he sells power back to the grid at 3.5 cents per kWh and purchases power for over 15 cents per kWh. The significant takeaway from Like Tesla’s video seems to be how simple the Tesla app is at monitoring the integration of Powerwall’s stored energy, EV charging and solar power production. The Power Flow feature on the app provides a great visual into where the energy is being distributed. Tesla’s app also provides a visual indicator of Powerwall’s performance throughout the day, with option to overlay grid usage over solar generated energy. This provides users with a consistent, daily graph view of where their energy consumption comes from. “I think Tesla has done a fantastic job with this app,” Beinenson said in a deleted scene provided by Like Tesla. 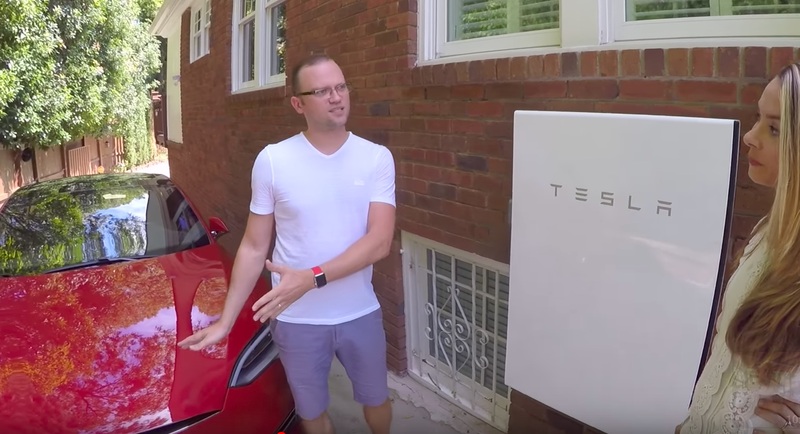 Overall, the LikeTesla video details what daily life is like for green energy proponents who use electric vehicles and the Tesla Powerwall 2. 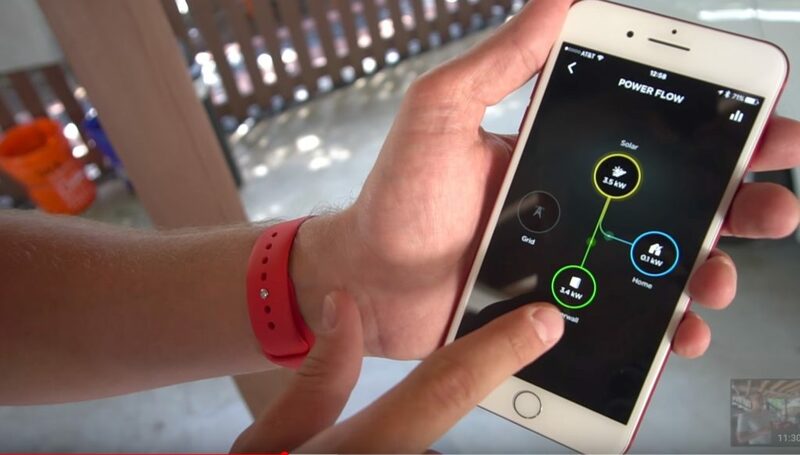 With a modern, easy-to-use app, Tesla has provided customers with a simple way to monitor and adjust their consumption.